The main difference between cloud hosting and shared hosting is that, in cloud hosting, a website obtains resources from multiple servers while, in shared hosting, a single server provides resources to multiple websites. There are millions of websites available in WWW. Every business organization maintains a website to promote their products and services and to gain more users. Web hosting is a method of maintaining files for one or many websites. There are two types of hosting as cloud hosting and shared hosting. In cloud hosting, the website is hosted on a set or a cluster of servers. Therefore, if one server fails, it is possible to migrate the website to some other server. It helps to create computing resources using cloud computing facilities and to host data, web services, etc. Cloud hosting provides multiple advantages. It is easier to increase and reduce the resources depending on the business requirement. Therefore, it provides easy scalability. Users can experience fast page loading. It is also possible to obtain resources from multiple servers. Distribution of resources helps to minimize the load. Moreover, failure in one server does not affect the hosting of the website. Furthermore, it saves cost as the hosting provider maintains the infrastructure. In shared hosting, a single server hosts multiple websites. Therefore, all these websites share disk space, databases, storage, and bandwidth. As there are many websites in a single server, each of them obtains a specific amount of bandwidth. Shared hosting provides multiple advantages. It is easier to deploy the website using shared hosting. The hosting provider handles all the technical tasks. Moreover, it is cost effective and provides management dashboards to manage the websites. On the other hand, the users can experience low speed as all sites share the same resources. Server failures can also affect the functionalities of the websites. Therefore, shared hosting is not the best option for websites with a lot of traffic. Cloud hosting is the procurement of computing resources from a cloud computing provider or facility to host data, services and/or solutions while shared hosting is web hosting in which the service provider serves pages for multiple Web sites, each having its own internet domain name, from a single web server. This is the main difference between cloud hosting and shared hosting. Furthermore, performance is better in cloud hosting than in shared hosting. Moreover, scalability makes a difference between cloud hosting and shared hosting. That is; the cloud hosting provides high scalability because of the resource availability whereas shared hosting provides minimum scalability because of the limited resources. Security is also a major difference between cloud hosting and shared hosting. Cloud hosting is more secure than shared hosting because it provides recovery options and anti-malware solutions. Importantly, in cloud hosting, many users can visit the website simultaneously. In shared hosting, few users can visit the website simultaneously. Also, loading speed is another difference between cloud hosting and shared hosting. In cloud hosting, websites load faster than in shared hosting. Besides, the cloud hosting requires high processing power and more storage capacity than the shared hosting. Usually, shared hosting is cost effective than cloud hosting. 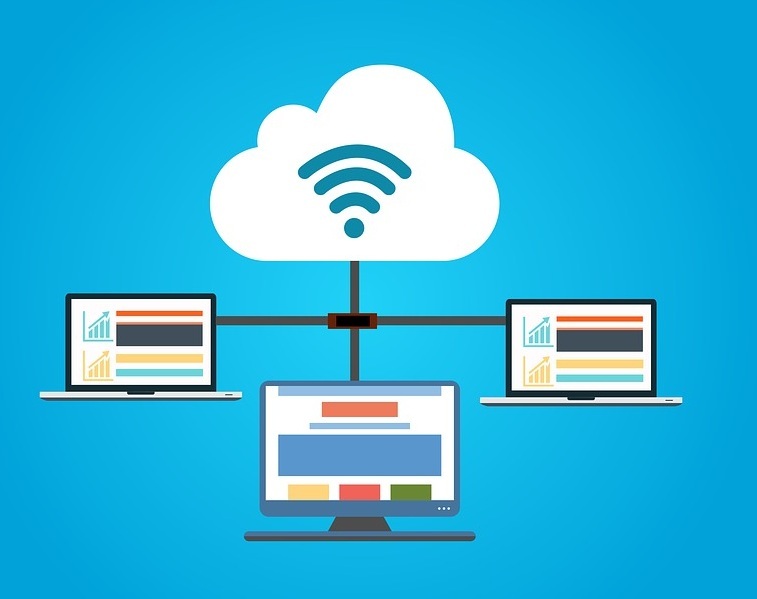 In cloud hosting, multiple servers provide resources to the website, while in shared hosting, a single server provides resources to multiple websites. This is another difference between cloud hosting and shared hosting. Two types of web hosting methods are cloud hosting and shared hosting. The main difference between cloud hosting and shared hosting is that, in cloud hosting, a website obtains resources from multiple servers while in shared hosting single server provides resources to multiple websites. 1. “What Is Cloud Hosting? – Definition from Techopedia.” Techopedia.com, Available here. 2. “What Is Shared Hosting? – Definition from WhatIs.com.” SearchMicroservices, Available here. 3. “What Is Web Hosting (Webhosting, Web Site Hosting, and Hosting)? – Definition from WhatIs.com.” SearchMicroservices, Available here. 4. Wood, Kevin. “What Is Cloud Hosting?” HostGator Blog, HostGator, 27 Feb. 2018, Available here.